In the 13th century, the Upper Church was built as a part of the Franciscan Monastery. As a young Augustinian Brother, Martin Luther stayed here at a gathering with Brothers of the Order of Saint Francis on Pentecost in 1506. Significant structural damage, led to the closing of the church in 1977. 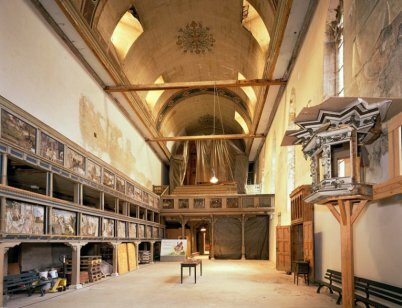 Since 2008, the Upper Church and the Monastery have been undergoing extensive renovations. The construction should be completed by the Observance of the 500th anniversary of the Reformation in 2017. On one occasion when Martin Luther was a young monk traveling from Erfurt, he was a guest of the Franciscans in Arnstadt. One Franciscan brother in particular, Dr. Henricus Kühn, really left a lasting impression on him. On Pentecost in 1506, Dr. Kühn preached what was considered quite a progressive sermon. Luther later wrote about the experience of the young monks, “we sat there with open mouths and noses, smacking our lips in reverence of such comforting words about our holy monkery.” The progressive thoughts of the Franciscan gave Luther new ideas. March 15, 1516 – Luther, as the provincial vicar of the Augustinian Hermits, met with General Vicar von Staupitz in the Cloister in Arnstadt. February 6th/7th, 1537 – Luther stayed overnight on the way to Schmalkalden. July, 1540 – Luther stopped over for the last time in Arnstadt while traveling through the region with his sick friend, Philipp Melanchthon. Arnstadt will serve as the crossroads of the planned “Martin Luther Trail” in Thuringia. …are just but a few steps! 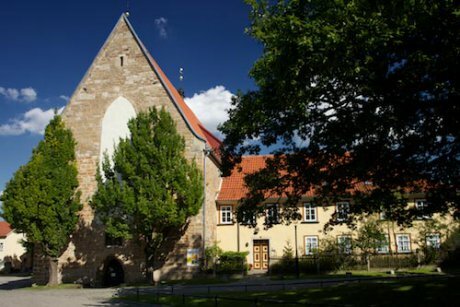 On this guided Reformation tour, you will not only walk in Luther’s footsteps through the city of Arnstadt, but you will also discover the various artistic expressions of faith from before and after the Reformation inside the ample furnishings of the churches. Costs: 60 € - the churches ask, in addition, for a small donation.